Protect your identity and the people around you when you become Batman, one of DC's greatest heroes. The Vinyl Adult Batman Mask is the way to do just that! 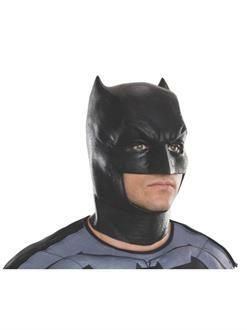 Comfortable and high-quality, this is a perfect cosplay mask or Halloween ensemble. Complete it with accessories and a cape for the full look.